Virtual Reality has been around for decades but recent developments of smartphones, game engines and head mounted displays (HMD) like Oculus and HTC Vive has made this technology main-stream and accessible for every tech enthusiast. For the coming years Architecture can play a key role in the development of VR since interaction with our digital creations are all about space and human experience. Virtual and Augmented Reality will be a technological breakthrough that can have a similar impact as television did 60 years ago, not only it has the potential to change our entertainment, movies, sports and video games. It also allows us to virtually connect ourselves to participate in social activities via digital technology. Imagine being able to virtually walk, meet and interact with people and objects across the globe in any chosen space from the comfort of your own home. Science Fiction references like the Startrek holo-deck, the enslaving virtual world of the Matrix, mind manipulation of Inception, or the social consequences of Surrogates show us extreme implications VR could have to our lives. There are however many good things that will come with this technology. As humans we are used to interact with our world by our senses and mind. We where not programmed to spend more then ten hours a day looking at smartphones and computer screens to connect to our digital media. We preform much better (and healthier) using our human senses and movements to interact, socially engage and focus on our (digital) surroundings. Virtual Reality would allow human interaction to go beyond a keyboard and mouse and allows us to connect anywhere in the world to digital space. Using computational power and gamification (teleporting, scaling and time manipulation) could enhance our work/entertainment and we can accomplish much higher productivity and communication then we could using text or images. As an future architect we will be able to sculpt a virtual space around us showing colleagues or clients an interactive version of our ideas. Virtual and Augmented Reality will be more powerful for communication in architecture then any conventional 2D drawing, image or sketch. After all there is no better way to understand a space or object than seeing a (virtual simulation of) reality. Virtual Reality adds a human sense of scale and understanding to design. Helping us to make a more friendly architecture during design and collaboration stages, but it can also show the qualities of our designs to a wider audience in the world. 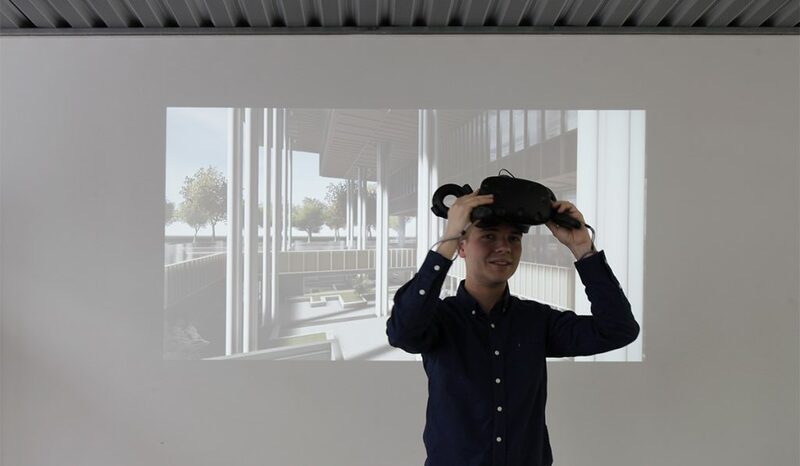 At Mecanoo architects Virtual Reality has changed the way we communicate our designs. Clients, design teams and users can now step inside our spaces during the design and help us to create an unforgettable architecture. Our design teams already collaborate globally with computer generated models (BIM) by simply converting this data to game software we can easily give people acces to a virtual simulation the design, allowing them to feel what it’s like to be in that space, making it easier to test and agree on difficult design decisions . 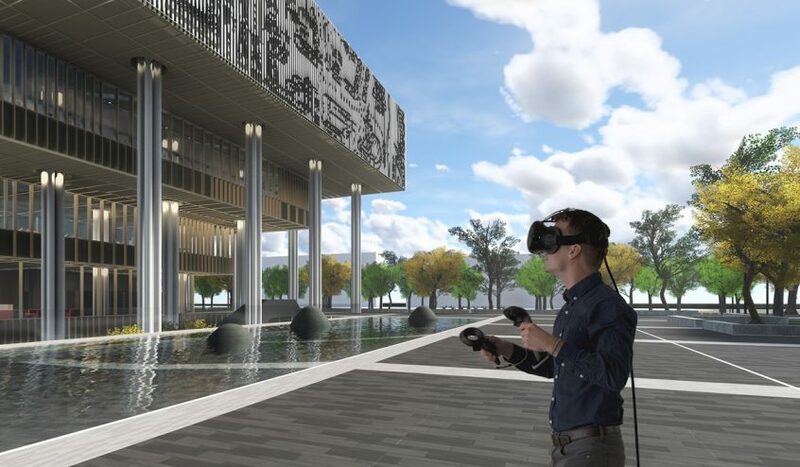 Next to design for physical buildings Virtual Reality will open new possibilities for virtual architecture. Users will soon be able to download or built there own virtual space and this has great architectural implications. 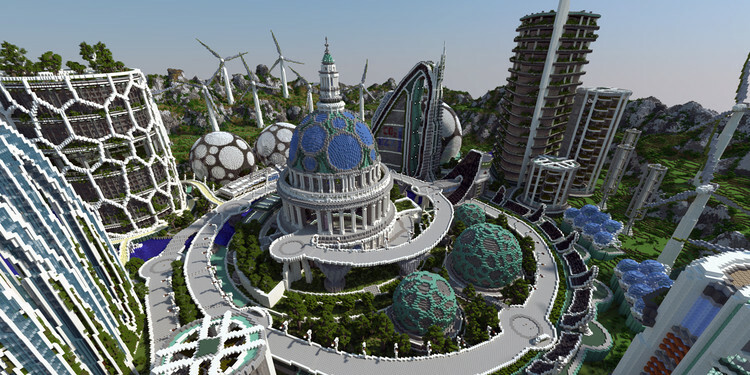 Digital community built places like Second Life and Minecraft showed us the importance of good design. If we want to improve the aesthetic quality, organization and functionality of these virtual spaces and worlds architect and designers can be of great value to help creating a virtual architecture. 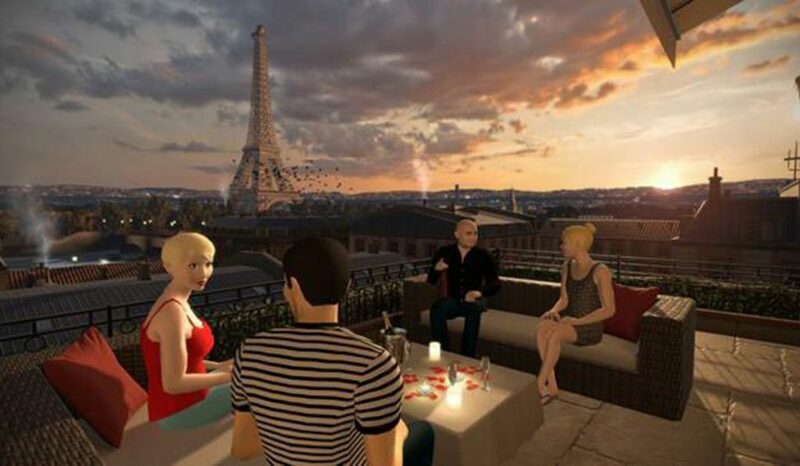 Nowadays there are many architects working in the film and game industry to help design virtual places. VR will help to further enlarge this demand for custom and personal design of space, creating new job opportunities for architects. Selling customized digital environments, spaces or even virtual worlds might become a new way for architects to make a living. Virtual built games like Minecraft allow (young) users to make there own designs. When users have a sense of architecture this can result in more friendly and interesting places. In my next post about VR I will describe the levels of immersivity that are important for architectural interaction with our digital content. I will also give some tips to help your office to get started with Virtual Reality. Let me know your thoughts about the future of VR or feel free to post any questions or tips on use of VR, BIM or Design Technology for architecture. Hey, Great site. I want to read a lot more of your suff. VR really is so cool. 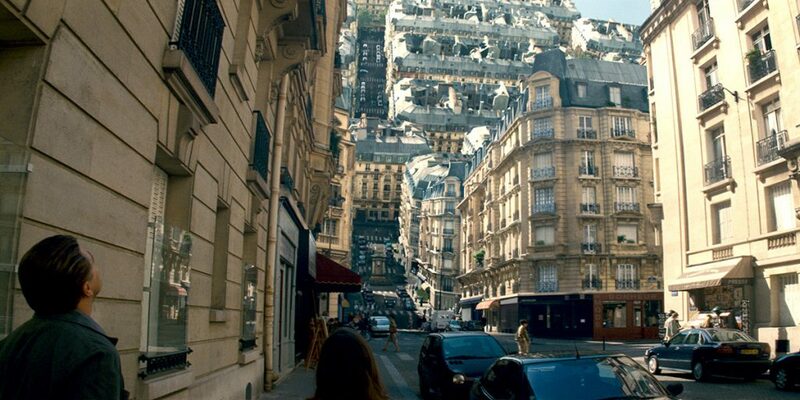 I feel like as soon as people see the potential for it beyond just games, we will start stepping into science fiction! Thanks for this article, I never thought about the implications it would have to design.